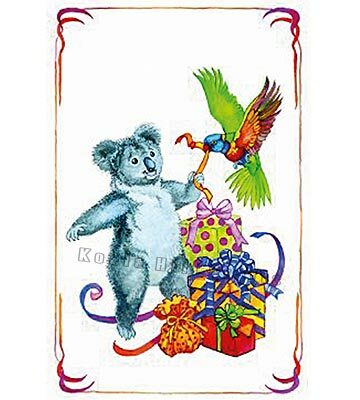 Happy & Lori® greeting cards are captioned for birthdays and other occasions. 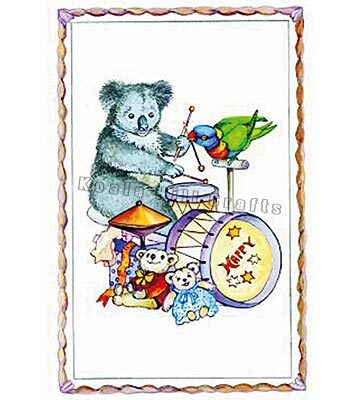 This Series has premium quality cards with embossed images. 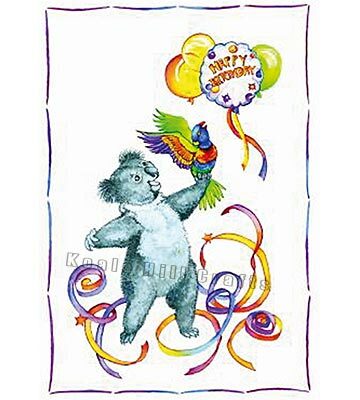 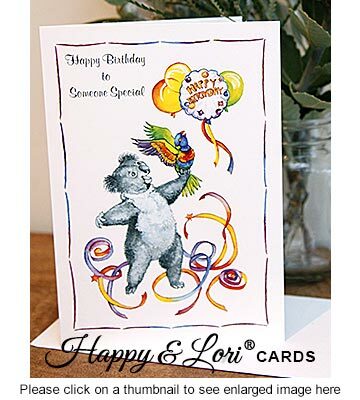 Happy & Lori® cards feature the ever-cheerful Happy Koala and friend Lori, a somewhat over-sized Parrot. 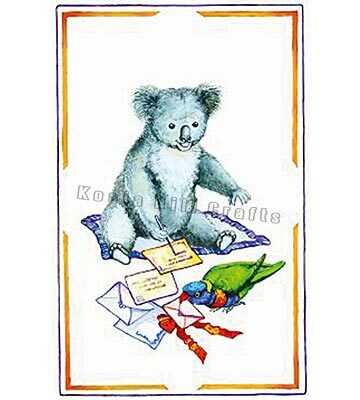 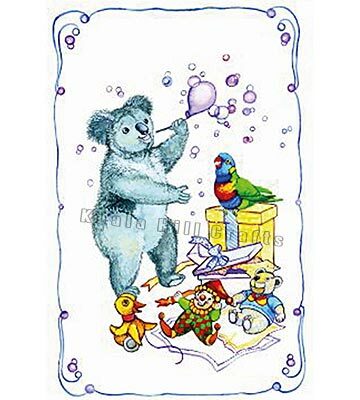 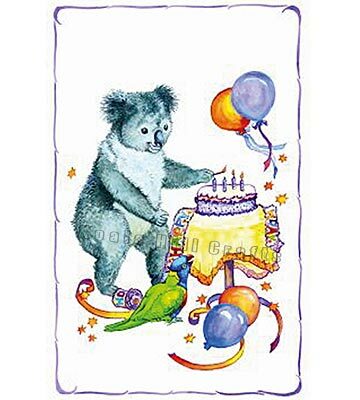 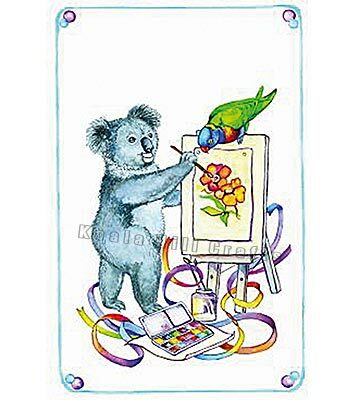 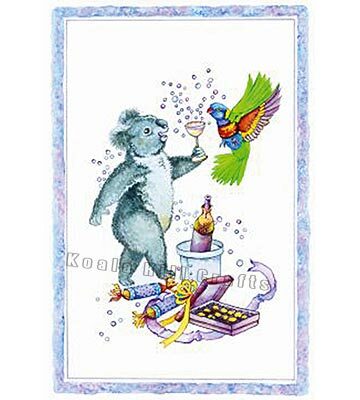 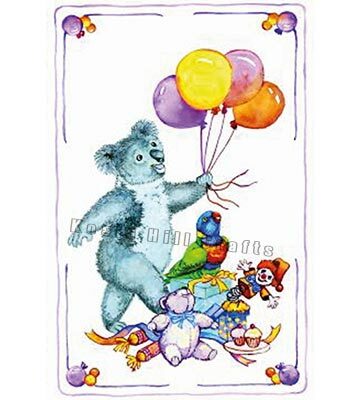 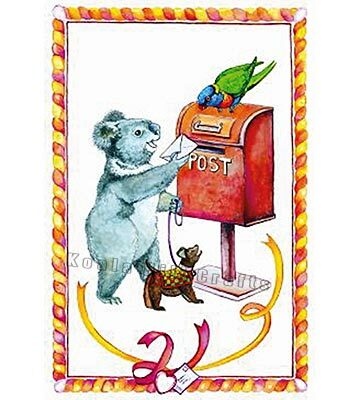 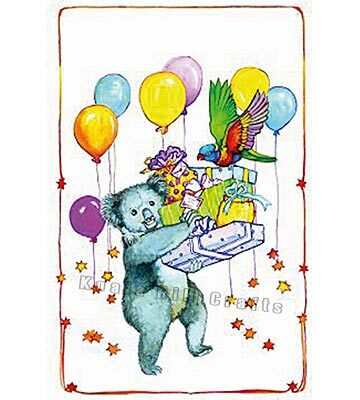 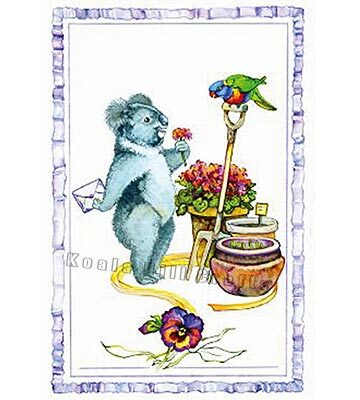 Australian greeting cards are also available in the Whimsies® Series (Australian wildlife), The Gardens of Gondwana® Series (Australian butterflies and native flowers), and Sydney Scenes.